Our world was broken by the effects of sin. God's chosen people of Israel had been scattered and persecuted. Worship had to be relegated to a set of rules that kept believers always feeling, "never quite good enough". Jesus left His throne and glory to walk among us as a human to teach, encourage and ultimately die for us. He died for our sins to establish a relationship with God our Father. Jesus humbled himself to arrive into this world in a lowly manger. This world will constantly try to keep Jesus out of the manger. We cannot have Christmas without Christ. Make a special effort to keep Christ as the center of your Christmas this year. Nothing you will buy or receive will last for eternity, only the gift of our Savior in a manger is eternal. 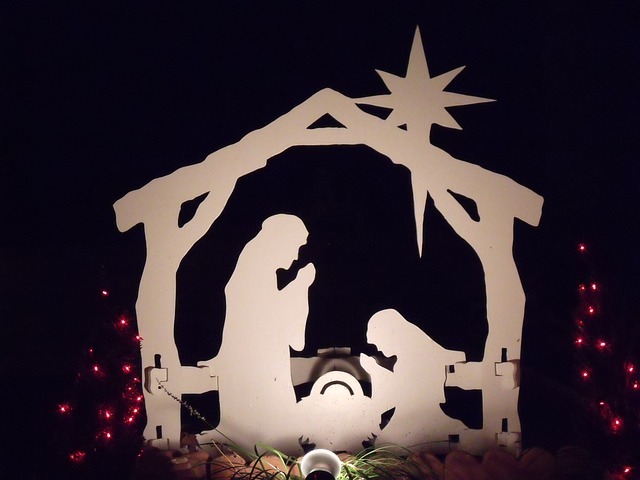 Keep Jesus in the manger because without Him, our Christmas would be empty. Donna and I wish you and your family a very merry Christmas.